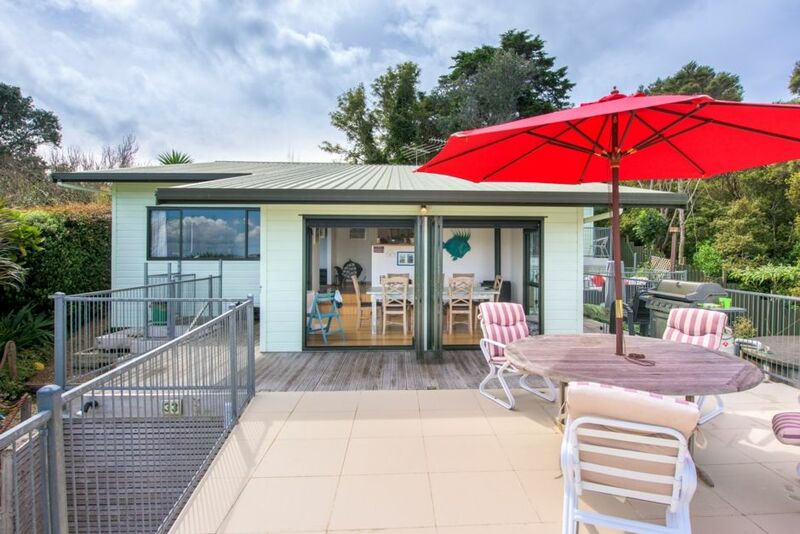 Castaway House, a well appointed holiday house in Little Oneroa has views back to Auckland from the large entertainers deck. Within 5 mins walk you are at the beach, children's playground, free community BBQ facilities, Little O dairy with its great flat whites, fish n chip shop and dragon-fired pizza cart. 1 night stays available with surcharge to cover cleaning and linen. 1 night stays available Sunday to Thursday except during long weekends, Christmas and New Year. Book through calendar. 1 night stays on a Friday or Saturday can only be booked within 10 days of arrival.